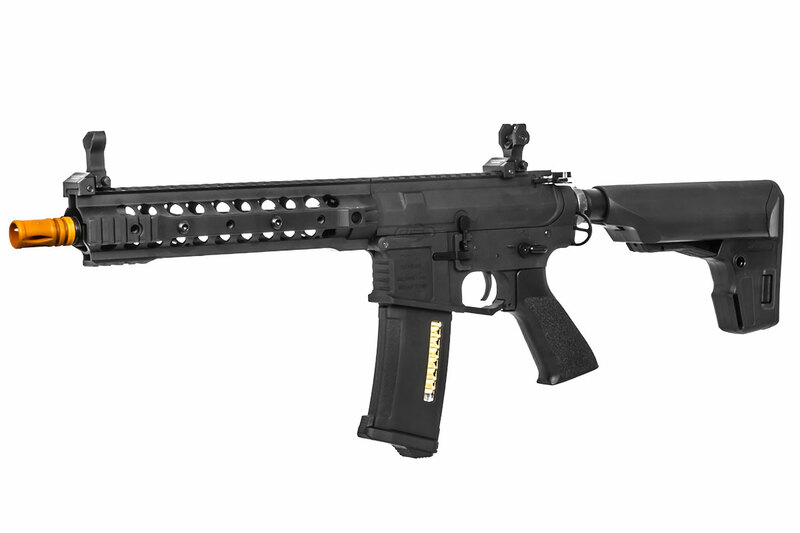 The Ragnar Series is one of the newest limited edition M4s by Classic Army. This Ragnar ARS3 carbine will feature a aggressively designed receiver and a 10 inch free float rail with picatinny sections at the very front, perfect for mounting flashlights, lasers or anything else you may need. 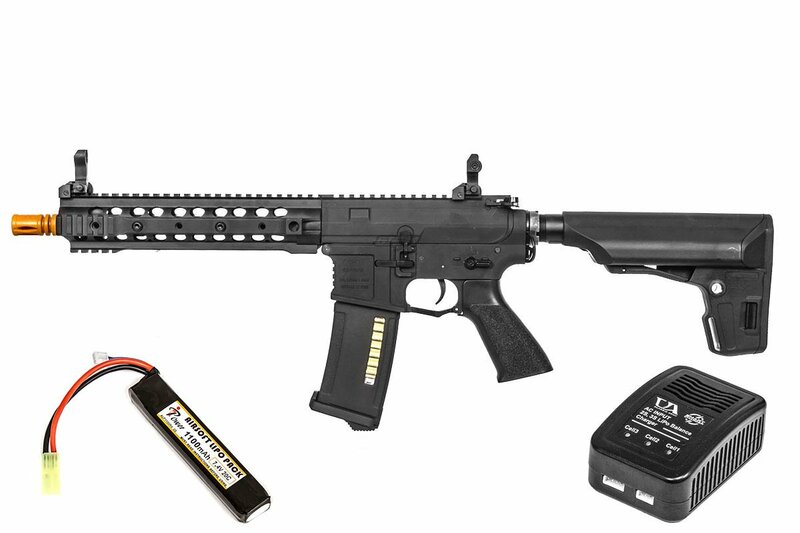 Immediately you can tell that the airsoft gun comes with a PTS EPS Stock and PTS EPM magazine. Internally, the Ragnar features an upgraded high ratio gear set, full metal rack piston, and the new Classic Army Max M2 Speed and Torque Motor. Additionally, the gun has a 9mm bearing gearbox, inline mosfet protected trigger contacts, stainless steel bore up cylinder, aluminum bore-up cylinder head, metal spring guide with bearing, 6.03mm tightbore barrel, silver low resistance trigger wiring, and a quick change spring system. The wiring utilizes a low heat deans plug and comes with an adapter for tamiya connector batteries. The quick change spring system allows for fast and easy spring changes without having to go into the gearbox. Altogether, the Ragnar series is built to have a consistently high FPS with a higher rate of fire compared to the original CA ARS3. Are the upper and lower receiver metal, or just the upper? Both the upper and lower are metal.